← Wintry Tomfoolery – Ice, Airtime, Wipe-outs, and a Turk? This is my favorite headlamp – hands down. Yes, it is bigger than the Petzl e+Lite, but it is MUCH brighter. I take the e+Lite when I’m over 90% sure I’m going to finish an adventure race before dark. If it is a longer race, or if it’s a race where I know I’ll be in the dark (like a dusk to dawn race), then I always take the Apex. The 3-watt super-bright LED is perfect for night navigation. Whenever you get close to a checkpoint in the dark, you just turn on the spot light to the high setting, and start looking for the reflective tape on the marker. When on high, the spotlight throws a beam of light farther than anything I’ve seen (especially in this price range). I also use the Apex on my helmet for mountain biking at night in conjunction with the Princeton Tec Corona on the handlebars for a perfect bike-lighting system. For other tasks that don’t require maximum lighting, the 4 ultra-bright LEDs are perfect. The super-bright spotlight and the ultra-bright task light both have a high, low, and flash mode. The Apex is waterproof, and of course it comes with Princeton Tec’s lifetime warranty. At less than $60, this headlamp is one of my top choices. Get yours right here. The Smartwool PhD Quarter Socks are our go-to socks for adventure racing. They breathe well. They wick moisture well. They are warm when it’s cold and cool when it’s hot. They look good. They feel good. They don’t stink, even after a long day of racing. I just love these socks. In cold weather, I put a pair of these on over the Injinji Socks mentioned in Part II of this series. This is a perfect combination. Be sure to pick up a pair. This is my backpack of choice for almost anything I do outdoors. It is just the perfect backpack for adventure racing, and I use it on day hikes, orienteering races, mountain bike rides and races, and even trips to the zoo with my kids. I’ve used it for 12 hour adventure races in the summer as well as the winter. If you find you need a little bit more room for longer races then you can always go with the Golite VO24 which is about 60% bigger than the Rush Backpack. Both of these packs can cinch down tight when you don’t have them stuffed completely full. They both also have hip pockets for food, compass, chap stick, etc. And when you really need to carry some extra gear, both packs have a big stretchy pocket on the back with some elastic compression straps where you can secure anything from bike shoes to a helmet. These packs are nearly indestructible, really lightweight, and super functional. I could go on and on about these packs, but the bottom line is I always recommend them to friends who are just getting into adventure racing. I can’t recommend them highly enough. There may be fancier compasses out there, but this is my compass of choice for adventure racing. It has never let me down. It’s simple design makes it easy to use. You can easily adjust the declination, the bezel and needle glow in the dark, and there is a magnifying glass built-in to help see small features on the map. The scale at the end of the compass corresponds to a 1:24000 map scale (one of the most commonly used scales in adventure racing). This thing is indestructible. The lanyard is great for keeping the compass around your neck, which is where I wear mine. When heading out to the great outdoors, I don’t leave home without this baby. If you want an affordable, reliable, and durable compass that’s easy to use, then get one of these. One thing I’ve noticed is that many beginning adventure racers (and some experienced racers for that matter) lack upper body strength and endurance. Sure, they can run and ride all day long, but once they get to the fixed ropes or get in a canoe, they fall apart. Well, the TRX can whip you into shape. If you are on the fence about adding some resistance training to your program for adventure racing, then you need to hop off of that fence and try the TRX. You can get an amazing, total body training session with the TRX from the comfort of your own home. It can also be taken outside and attached to a tree, a pole, or a secure railing. You wouldn’t believe how many different exercises you can do on this piece of equipment. It is the perfect thing to start a home gym, because it is all you need to get started. Later, you can always add dumbbells and some free weights. If you already have a home gym, then this can add some much needed variety into your training. Check out this video of me doing one round of a brutal workout on the TRX in my basement. It might look easy, but if you watch it to the end, you’ll see that it nearly killed me – and I loved it! The TRX also offers a door anchor to take with you wherever you go (no more “I can’t get a good workout in at the hotel” excuses), a ceiling/wall mount to install in your home, and now they even offer the Talon Trainer which focuses on finger, wrist, and grip strength (perfect for climbers). 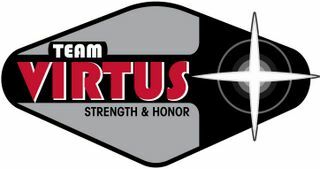 This is truly a remarkable piece of equipment that anyone who is serious about their training should own. Get your own TRX, and take your racing to the next level. I simply love mine and use it at least twice a week. So that’s it for today. When you’re done reading this, be sure to check out the last piece in this series – Part V.
Posted on January 27, 2010, in Gear and tagged Adventure Racing Equipment, adventure racing gear, adventure racing gear reviews, gear reviews, recommended adventure racing gear. Bookmark the permalink. 1 Comment. I use all of this equipment except for the compass. I have a Brunton Eclipse Adventure Racing Compass, which I have used many times and love it. The Apex is a must have. I have 3 head lamps and they are all Princeton Tec (life time gaurauntee and they mean it). There are brighter, smalle rlights but they are mucho dinero. If you have money to burn or are fullly sponsored there are many options. If you are like me, the average man, you have a budget and you get a lot for a little with the Apex. 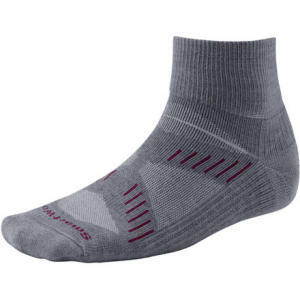 The smartwool sock are a must, they are comfortable, warm, breathable, and odro free since they are wool. Paired with the Injinji Socks, some hydropel, and a proper fitting pair of shoes your feet will be in good shape throughout and at the end of the race. The Rush is, in my opinion, the greatest AR pack. I started with a camelbak but after witnessing and trying on a rush I rushed out and got one (sorry for that word play). I love the way it rides on your back and the best features for me are the side pockets on your hip (great for on the go snacking or items you need quickly and assessible w/o removing your pack) and the whistle built into the chest buckle (it is easily assessible and meets the requirements for carrying an emergency whislte on the required gear list). I liked my Rush so well that I have purchase the VO24 for use in winter races and longer races, that require more gear. The TRX is phenominal. I have had one since late summer last year and played with it some. Only recently have I begun to use it regularly. It is fun to use and enables you to condition your entire body. Google the infamous TRX workout to find some great metabolic conditioning routines. They will push you mentally and physically, and will take your conditioning to the next level. This is key for climbing, ropes courses, and canoeing/kayaking phases of a race. It’s cheap, it’s fun, and it will definitely elevate your game.